Home-enthusiasts looking for quality homes in Lucknow should have a look at the property in Sitapur Road. The demand for property in this region has increased among investors and homeowners, due to rapid developments in the infrastructure in the region. A number of developers have come up with sophisticated residential complexes in the region. You can buy these apartments, shrouded with elegance and comfort and live up to your housing dreams. The 2/3/4 BHK apartments have been developed for the high-end buyers and middle-income groups. These apartments come across variable floor areas. The projects in Sitapur Road are attracting homeowners from various parts of the country. The prices of apartments in the region are increasing. If you are willing to buy these apartments, you can make your investment now. A large number of families have migrated to these apartments, while others are booking their homes. You will cherish a quality lifestyle when you move to these residential complexes. The residential complexes come with a wide range of amenities, including swimming pool, gym, various indoor and outdoor games, clubhouse and so on. Children have dedicated play areas to enjoy their time. 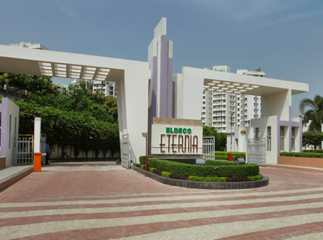 For investors and homeowners, this is the right time to buy properties in Sitapur Road. Get these apartments and experience a seamless living infrastructure in Lucknow.